I have come across that note many times as I plan my season of storytimes and I thank PastAnn each time. So here are the things I use for Wild Animals. Is that he wears long underwear. Which hit him on the snout. 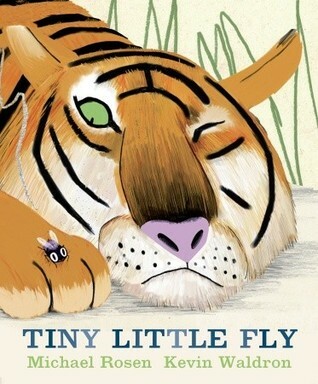 This book is just about perfect for Wild Animal Storytime. Rosen’s narrative is clever in its rhymes and cadence. 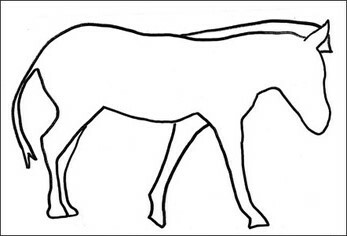 Waldron’s illustrations are large and interesting giving just enough clues in the pages before the reveal of the animal that kids can guess who is next. The fly is a nimble escape artist – quickly flying away as each animal tramps, rolls, and swoops as they try to “catch that fly!” I read this for Toddlers and Preschoolers – having the Toddlers point to their own body parts as the fly lands on the animals, taking more time to guess the animals with Preschoolers, and encouraging everyone to chant “catch that fly!” with me. This non-fiction title is part of the AV(2) Media Enhanced series. 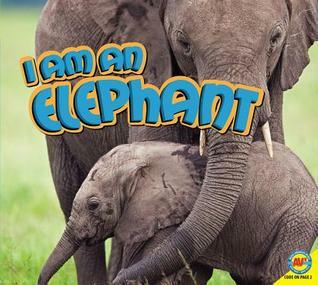 The whole series focuses on animals. The Media Enhanced part is a URL with a book code to enter. Then you get interactive audios etc. But back to storytime. The books have great photos, there is one easy reader sentence per 2 page spread and it is full of interesting facts. The last pages provide more details – a great cheat for didactic reading or throwing in some “didyaknows.” These books are short enough for Toddler Time and interesting enough for Preschool Time. 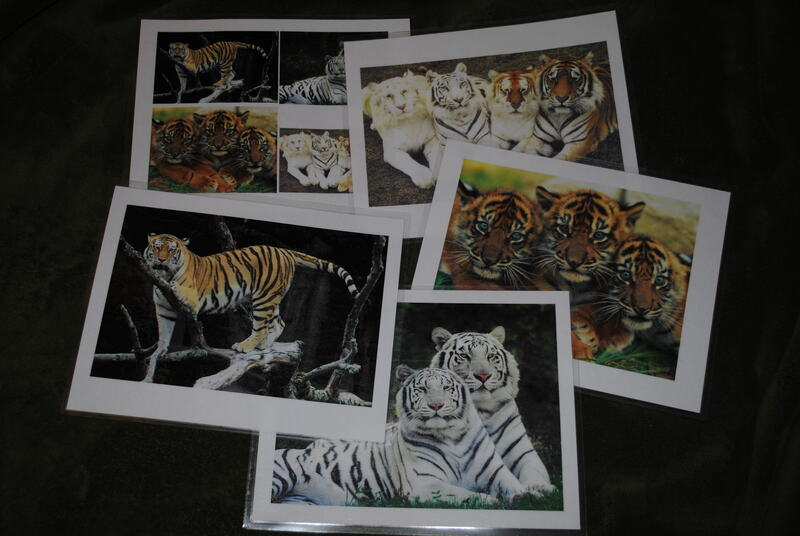 A few of the other animals in the series are: dolphin, giant panda, gorilla, jaguar, tiger, and shark. I Am a Shark is the only one that might be a little scary. Lots-o-teeth! 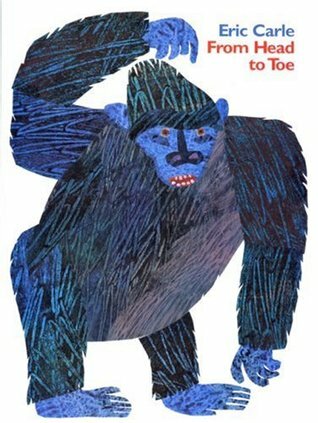 Love me some Eric Carle! And this one is a great opportunity to stand up to read! Get the kids on their feet and have them do all of the movements from the book- yelling out “I can do it!” each time. I read this to all ages – and encourage parents and caregivers to play this game while waiting in line at the grocery store or sitting in traffic. Big Little Monkey wakes up earlier than his whole family and decides that he is old enough to go out on his own to play. 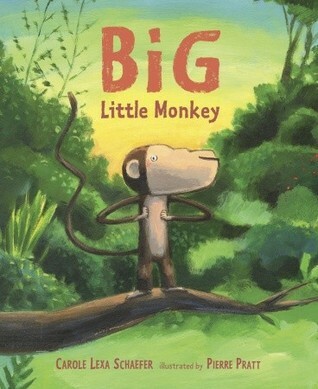 He meets several jungle animals and tries to play with them but when he meets Mr. Boa and his tricky ways, Big Little Monkey knows he is big enough to know when to head home. Great saturated color and fun language make this good for storytime. It is a little longer and complicated with some movement phrases like bim-bala-bim so I read this one to preschoolers. Who doesn’t want a great excuse to sing Wheels on the Bus one more time? 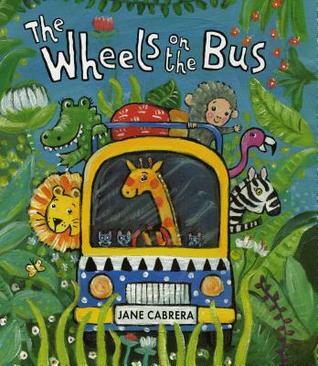 Cabrera’s colorful illustrations are easily seen from across the room and each page invites everyone to sing along, ” The lions on the bus go roar roar roar!” And along with the typical animals (zebras and monkeys) there are a few surprises (hyenas and bush babies)! The end pages include the simple melody just in case you forgot (yeah, right). 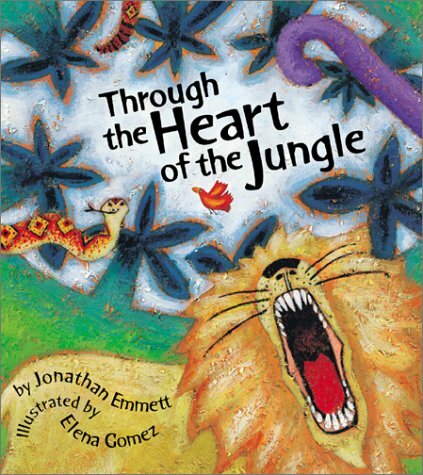 Emmett’s book is based on There Was an Old Lady Who Swallowed a Fly but is all jungle animals! The illustrations are bright and beautiful. The descriptions of the animals are delicious “the toad with the big googly eye,” “the monkey that let out a shriek,” and “the snake that slithered and slunk” but there are several and (true to the rhyme) they are all repeated each verse so it does get a little long. That makes it better for older kids than the littles. An attentive Preschool crowd or school age would love it. 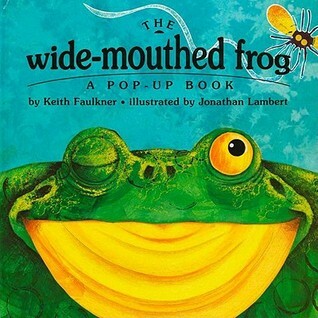 I love the story of the big wide-mouthed frog and both of these versions are lots of fun. The pop-ups in Faulkner’s book are big and fun – especially the last when he closes his mouth tightly. 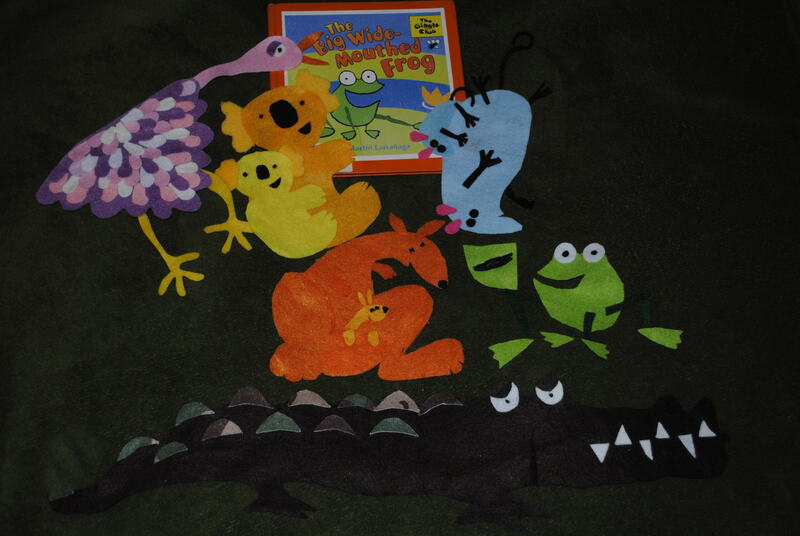 The frog visits a bird, a mouse and an alligator – ending with a big splash! Martin Larranaga’s version is full of Australian animals – making it a tad more interesting. How many emu’s are there in kids books? The copy I have is on the small side so I actually made a flannel of the characters. The frog has an overlay so his mouth can be small at the end. I’m kind of ridiculously pleased with the emu. 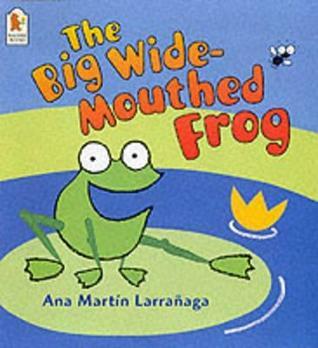 The trick is to use a very wide mouth when reading as the frog and then a very very small mouth at the end. I just about sprain my jaw when I read these. It’s like these big mouth parts were written for me……hmmmmmm. SNAPS that monkey out of that tree! This one has the makings of storytime/flannel magic if you get quieter and quieter as Mr. Alligator closes in on those smart-alecky monkeys and then SNAP pretty quickly. It doesn’t even need to be that loud – it is startling and the kids loooooove it. 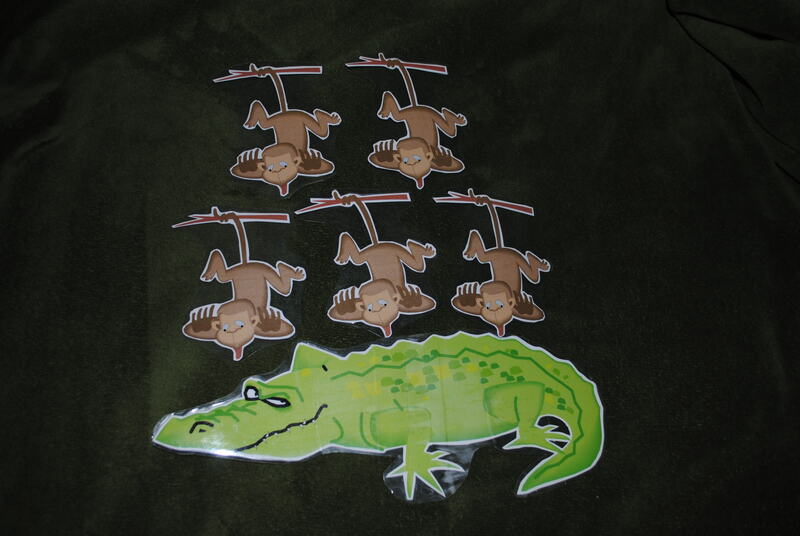 I made this one from clipart, cardstock, and the handy-dandy laminator. Add velcro on the back and it is ready for storytime! Two white tigers looking at me. Three little tigers, I bet they are brothers. Four big tigers each different than the other. Do you want to do it all over again? I wrote this rhyme because I wanted to include tigers in my storytime but couldn’t find anything I liked. I found the photos online, printed them on cardstock, wrote the lines of rhyme on the back (as well as photo credits), and laminated them. The 5th page is the other 4 photos all together. I present it like flashcards from a sitting position. It is 5 cards but we count all the way to 10 for a bit of a change. And came and played with me! This song is awesome and the whole room will love it. If you practice – you’ll be able to do it faster and faster. Lots of laughing!! Think of an animal that you’d like to meet! That you’d like to meet! A ____! A _____! You want to see a ______! 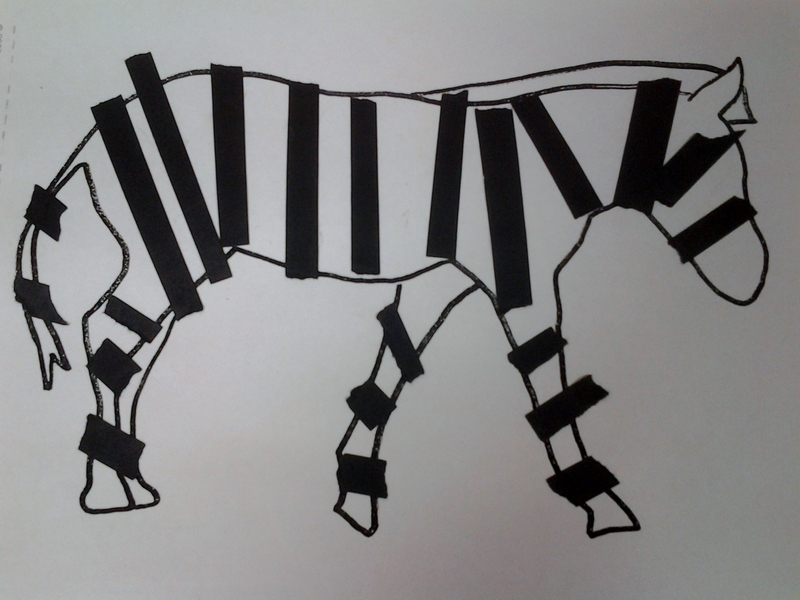 I found an unstriped zebra in Google and cut a bunch of thin strips from black paper. I left the strips longer than the zebra on purpose. This allows the kids to tear the strips and develop their fine motor skills of pinching. They glue the strips onto the blank zebra thereby making stripes (and practicing more fine motor skills with all the gripping and pushing) and voila. The results are organic and interesting. Try it! Our diecut machine does a great spiral so I prepared some from cardstock. 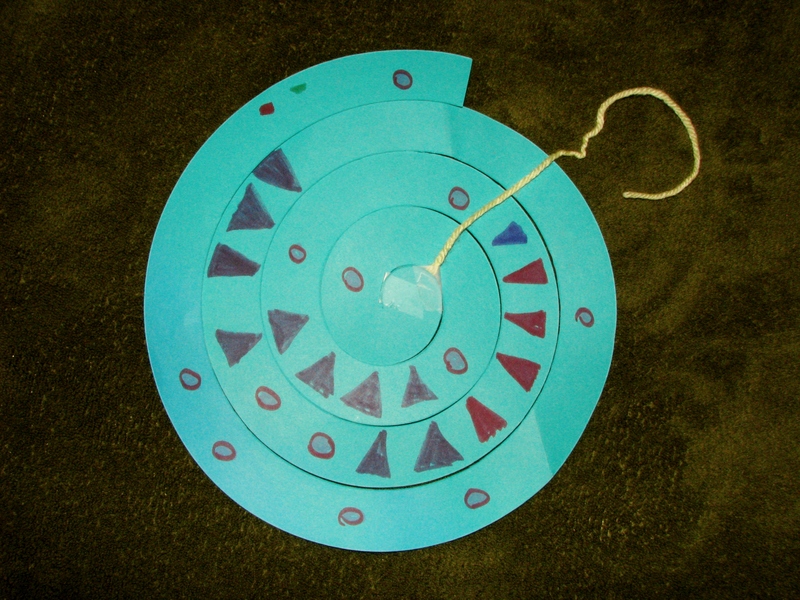 The kids taped a piece of yarn to one end and colored the spiral. Then when they lifted it by the yarn, it spun out so very nicely! The coloring and taping work the fine motor skills, the walking while lifting the yarn – the gross motor skills. So, I guess I did put a lot of snakes in there anyway. 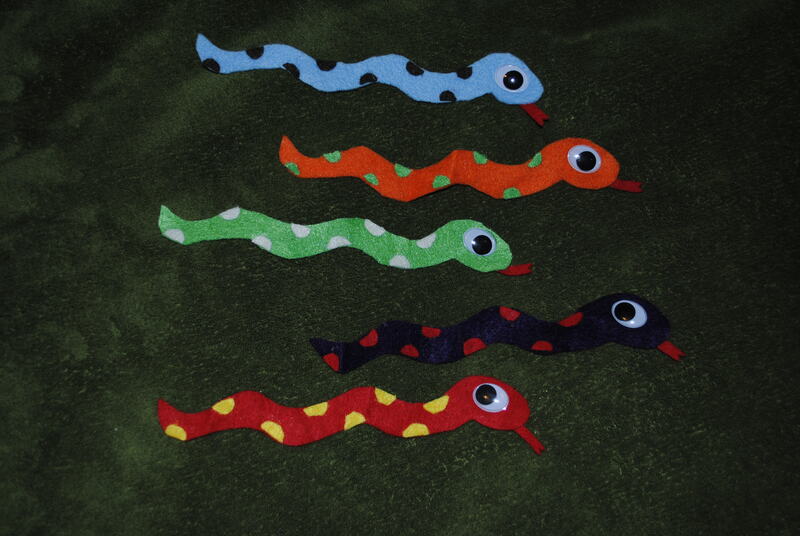 Maybe I could do a storytime just about snakes…. Also, drink more water. Because, water.